As Executive Vice President and Chief Operating Officer, Ochsner Health System, Hulefeld has operational responsibility for Ochsner's 40 owned, managed and affiliated hospital and specialty hospitals, more than 100 regional clinic locations and all corporate functions. 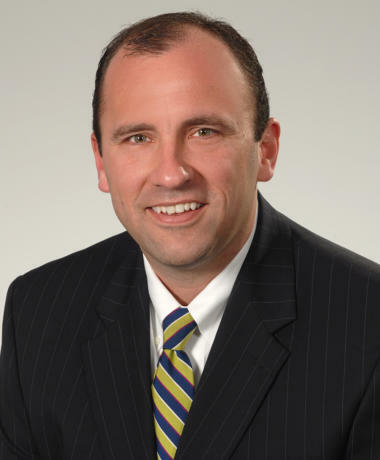 He joined Ochsner in 1998 and previously served as the Chief Executive Officer of Ochsner Medical Center. After graduating from Xavier University in Cincinnati, Ohio, Hulefeld received his Masters Degree in Health Services Administration from the University of Michigan and joined Ochsner as an Administrative Fellow in July, 1998. In 1999, upon completion of the Administrative Fellowship, Hulefeld joined Ochsner Clinic as the Manager of Musculoskeletal Services. In 2001, Hulefeld became Director of the New Orleans Satellite Clinics. From there, Hulefeld was named Vice President of Satellite and Ancillary Services, a position he held for four years. He spent two years as the Chief Operating Officer before serving as the Chief Executive Officer of Ochsner Medical Center - the flagship hospital in the Ochsner System. Hulefeld is married with two children.